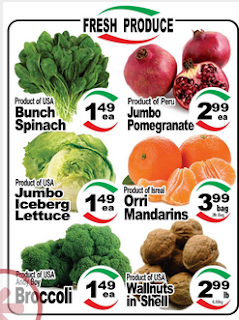 Cataldi Fresh Market Flyer April 25 - May 1, 2019 is now available – Get all the latest specials flyers, deals, and coupons from Cataldi fresh market flyer. Also, keep your challenge with coupons and great deals from Cataldi store flyer. In this post you are gonna find latest news about Cataldi Supermarket stores, Cataldi Supermarket Flyer, product reviews, grocery flyer, product prices, latest flyer, foods flyer, store locator, Cataldi Supermarket canada hours and more. Cataldi Fresh Market. Home; Store Welcome to Cataldi Fresh Market. The smartest method to save money by visiting Cataldi flyer this week, and there are a specials great deal in Cataldi weekly flyer product. Cataldi Supermarket flyer Products Produce, Met, Fish, Dairy, Frozen, Bakery, Prepared Foods, Deli & Cheese, Groceries. T-Bone Steaks $9.99/lb Sale Price Cut from USDA. Certified angus beef. $22.02/kg. Porchetta $4.99/lb Sale Price Fresh store made. $11.00/kg. Flattened Chickens $5.99/lb Sale Price Homegrown Ontario. Assorted varieties. $13.21/kg. Fresh Tilapia Fillets $6.99/lb Sale Price $15.41/kg. Red Bell or Sheppard Peppers $0.99/lb Sale Price Product of Mexico. $2.18/kg. Green Asparagus $1.99/lb Sale Price Product of Mexico. $4.39/kg. Ataulfo Mangoes $0.99 Sale Price Product of Mexico. Green Kale or Dandelion $1.49 Sale Price Product of USA. Grape Tomatoes $0.99 Sale Price Product of Mexico. Pint. Bartlett Pears $1.49/lb Sale Price Product of South Africa. $3.28/kg. + more, click image for detail. Save more this week with Cataldi Supermarket. Grab these great deals at your local store and don’t forget to print off your local Cataldi Supermarket coupon, to get the best deals. More detailed information can be found by clicking similar website here. Enter a zip code or state to get all the information from the offers Cataldi Supermarket store.